This ink is specially designed to ensure that the created impression will dry as quickly as possible. The bottle is a 10 ml bottle of ultra violet ink. Suitable for all brands of re-inkable stamp pads. 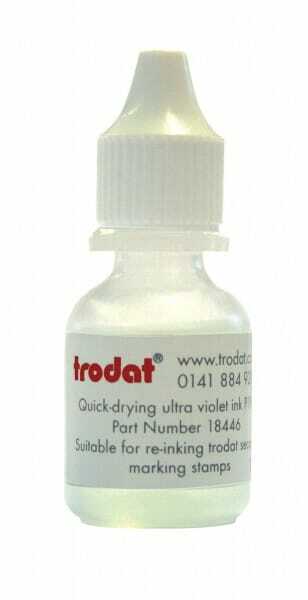 Customer evaluation for "Trodat Ultra Violet Ink - Quick-drying, 10 ml"